Ishaani brings Dewarsh into the room. Dewarsh says whatever he might do but he can’t do such a thing. Krisha comes behind Ishaani, Krishaa was crying and asks Ishaai to save them, she begs of Ishaani. Dewarsh asks Krisha to go away, but Ishaani asks what is it about that she is saying so. Dewarsh says nothing, she is just worried. Krsha tells Ishaani that she is pregnant. Ishaani was shocked and looks at Dewarsh, Krisha cries that it was her mistake, she is going to be a mother, what will she do if he goes to jail now. She asks Ishaani to do something, Ishaani slaps Dewarsh hard. Krisha says it wasn’t only Dewarsh’s mistake, Ishaani asks Dewarsh what else she would have to listen. Ishaani takes Krishaa along, Krisha asks her not to tell Shekhar about it. She asks for her promise. Ishaani says hiding wouldn’t solve the problem but will increase it. Krisha cries that she knows they have done a big mistake but after the wedding no one will have the mistake. Dewarsh promises Ishaani to take up the responsibility of Krisha and the child. Ishaani asks which responsibility he has taken till today and he is accused of her mother’s murder, how he will marry. What proof he has that shows that he didn’t pay for Falguni’s murder. Dewarsh cries that he is greedy and irresponsible but he isn’t someone who can kill Falguni. He was angry at Ishaani, he knows she won’t believe but he will try his best to be a good husband. He insists at Ishaani he is innocent. Ishaani tells Dewarsh police would ask for proof as the killer has taken his name. Dewarsh tells Ishaani that when he heard Falguni’s scream he was in room with Mr. Mehra, he tells them Mr Mehra had given then 2 lac rupees and explain he could see Dewarsh isn’t financially well. Krishaa again cries and pleads Ishaani to save them. Ritika was curt in hall thinking about RV’s reaction at the call. She watches Amba in the kitchen and begins crying aloud. Amba asks what is it about, why is she crying. Ritika says only her tears are felling, she isn’t crying. Amba insists on her for the reason. Ritika says what she can tell her, Ranveer… she stammers that no, this isn’t possible. Amba asks her not to take much tension. Ritika says her child’s life would be effected if he doesn’t care now. Ritika says after her papa’s death they all adopted her but how can she give her child’s responsibility to RV, didn’t she see how RV went for Ishaani. 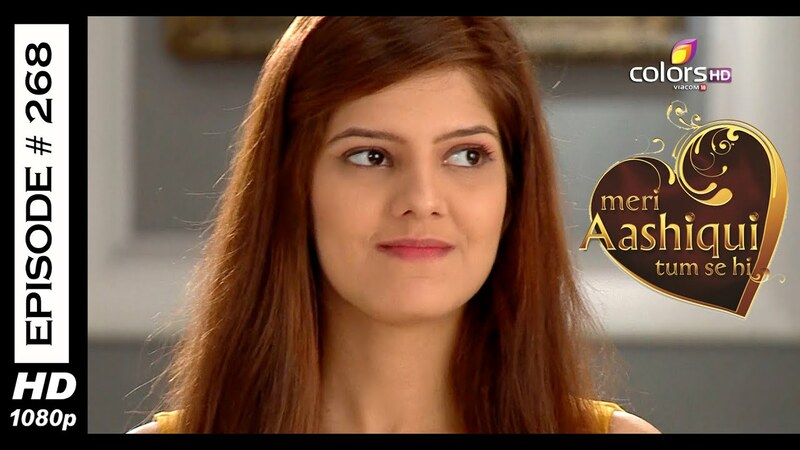 Amba asks Ritika to jerk anything from mind; RV comes there and asks what happened. Amba comes to him and says he is the reason, she cries every day. She asks RV to take a decision, if he doesn’t want to marry her he must tell her. Ritika says she must not blame RV, it is her responsibility and she is used to it. She says this child will always be called illegitimate, because there was no divorce between RV and Ishaani, Ishaani went to jail but came out so there was no divorce legally. In such a situation, her child will be illegitimate. Amba asks RV what is Ritika’s status in his house and life until Ishaani is his wife. In the hall Ishaani announces that the CCTV footage clearly shows Dewarsh was in the room at the time of Falguni’s death, the killer is lying. Chaitali says that she already said this. Shekhar says that since the killer took Ishaani’s name, there would be a case on him. He tells Chaitali that they have the proof and will bail him out. Ishaani says they must let Dewarsh go to jail, so that the killer gets relaxed; then the killer will go out of the jail and will meet the person actually behind the murder. Shekhar appreciates Ishaani that Ishaani’s mind work as a lawyer, he is thinking about making her a business partner. Shekhar says that on a serious note, Dewarsh will have to go to jail. Ishaani tells Shekhar that he must get Dewarsh out of jail soon, in a day at max. Shekhar whispers at Baa what did Ishaani eat in childhood that made her so sweet. Baa thinks she wishes she could tell him Ishaani should be married to RV. RV comes into his study and brings about the file at Amba and Ritika, he says these are the papers with signatures of Ishaani and him. He will submit them in court, he will name the relation between Ritika and RV and will end each relation with Ishaani. Ritika comes and says to RV she has mood swings, but he must not do anything emotionally and think again about his decision. RV says he must have done this work a long time ago, this is the hurdle between their marriage. Amba says that the sooner it ends the better. RV leaves the room, opens the file to see the papers and cries. Ritika’s phone rings when Amba was about to leave, Rtika takes the call and is shocked, she asks Dewarsh had jail, if this is sure he sent the murderer. 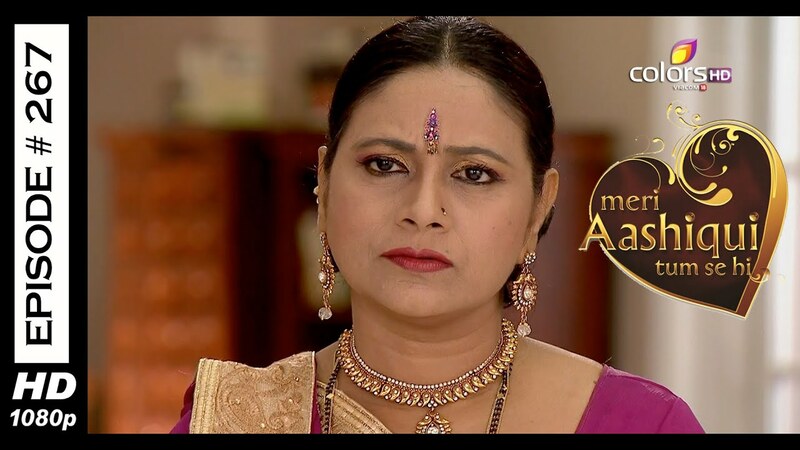 She turns in shock, Amba tells her to relax, she knows about Parekh family as they are all like that. Amba leaves, Ritika cheers and says I am sorry Dewarsh, I want a divorce between RV and Ishaani because I have to marry him and bring up my child with him. Someone will have to sacrifice for that, she jerks the feelings she won’t let RV suffer what Chiraag did. PRECAP: RV was standing behind the car, his lawyer was visible to Ishaani. Ishaani says she heard the conversation by mistake, but he loves his wife so much he must not divorce her because what people say is liability but acceptance is only when the heart tells you. RV comes out from behind the car to confront her. Ishaani and RV both were in court, RV with the lawyer. He looks at the divorce papers, thinks about Amba’s words and thinks whatever was between them came to a paper and now it will also be destroyed. The lawyer says to RV that this relation has been hard to break, then he must rethink about it as if the court’s verdict comes there would be no option. RV says that everything ended a long time ago, only love is there which can’t be removed by any paper. The lawyer says that he loves his wife so much and knows she is the last hope, then he must not divorce her. He says that these papers have been in cupboard for the last eight months and weren’t accepted. In our country, God accepts the marriage and one must think about his will in all this. He says that in life true love only comes to the ones who are lucky. He says he has done a number of cases in life, it is for the first time that a husband is divorcing a wife whom he loves so much. Ishaani hears this all and wonders who this person is. She comes in front of the lawyer, RV was behind the car. She says she overheard his lawyer’s conversation, he must not give divorce to his wife if he loves her so much, he must not listen to anyone because what the people says is a liability and what the heart says is the acceptable most thing. RV comes to confront her from behind the car. RV says if it has to be heart, his own heart says he must not listen to himself. He is used to suffer pain, it has been broken so many times that it might stop beating if it is broken another time. He goes and signs the papers for the last time. Ishaani had tears in eyes, RV looks at her and leaves behind the lawyer. Ishaani cries standing there. Shekhar comes to her from behind and finds her crying. He is worried and asks if she is hurt anywhere, Ishaani says a bit. He asks where? Ishaani says it is a chronic one, he might not see it but can only be felt. He asks if she is fine. She says she is fine. He says no, she isn’t. He asks her to look into his eyes, he says she has been unable to forget her past but she must share every pain of hers with him and if she can’t share, she must keep him along her. Ishaani says to Shekhar she is trying hard, Shekhar says he doesn’t need an explanation, he just want to be there with her, he will like to help her. Ishaani asks about Dewarsh’s bail application. Shekhar says he would be released till tomorrow, it is her and Krishaa’s mehndi and everything will be alright. Shekhar says what he regrets is that the actual killer is still wandering freely. Ishaani asks why Dewarsh’s name was taken. SHekhar says we haven’t think about Sharman, he also appears to be the way the killer described. He had come to the party and then he vanished soon. Ishaani says Sharman can’t do that, he was always worried for not being able to financially support the family. Shekhar says we must talk to him once. Ishaani agrees that they might get a chance. PRECAP: Ishaani insists at Sharman that Ritika bears his child. Sharman says it isn’t, he says they got drunk four days before Sangeet only. Ishaani says he denied taking his responsibility of the child, RV took it instead. She says it is because of him that she isn’t with RV.